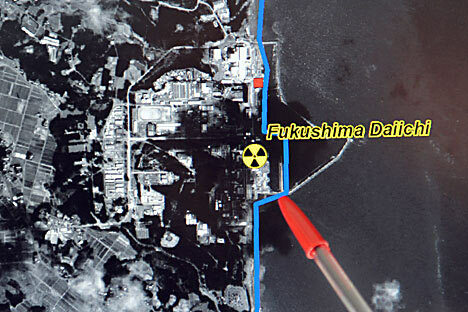 The Fukushima disaster has revived concerns about the safety of nuclear plants. Experts review the safety of Russian reactors since the 1986 Chernobyl catastrophe. We cannot develop dangerous industries without due consideration of natural processes. The worst catastrophes in recent years, some with huge numbers of human victims, have been triggered by the water element, so we should think ten times before deciding to situate new atomic power plants and large oil refineries in coastal zones. We have seen in Japan how a large oil-refining plant burns when affected by the elements. This will deliver a colossal blow to the ecology, to say nothing of the economic damage. Why should we make the same mistake? When we were deciding where to put sites connected with the development of the Sakhalin shelf, we tried to tuck them away deep in the territory. I consider it best to move such sites back from the coastline and choose elevated places for construction. In connection with the development of means of transport in Russia’s Far East, with deliveries of oil and gas to China and Korea, we need to approach the situating of such sites very carefully. Rosatom is ready to help Japan resolve the situation at the crippled atomic power plant Fukushima-1 should we receive such a request. This is entirely up to the Japanese side. As soon as our Japanese colleagues tell us what help they need, naturally, we will respond immediately. As for plans to build atomic power plants in Russia and abroad, our colleagues from Turkey have confirmed that the project for the Akkuyu power plant will be put through. And Bulgarian Prime Minister Boyko Borisov said a few days ago that he favored construction of the Belene atomic power plant. In Russia, meanwhile, as both President Dmitri Medvedev and Prime Minister Vladimir Putin have repeatedly stressed, development of heat-and-power engineering without nuclear energy is not considered possible. The Japan tragedy won't substantially change the attitude toward nuclear energy. Proponents of this point of view were two-and-a-half times as many (41.9% versus 16.5%) as those who believe the Fukushima incident will chill the “nuclear renaissance” and long-term plans to build new atomic energy plants.